Find phlebotomy training classes in Iowa below! For the purpose of diagnostic testing, phlebotomists draw blood from patients of varying ages, temperaments, and mental states. Some patients will arrive nervous and anxious about having bloodwork done, while others are genuinely afraid of pain and needles. This is where a good phlebotomist would use their keen interpersonal communication skills to ease the patient, diffusing anxieties with understanding, compassion, and a minimal to no pain collection. Patient communication and compassion are the focuses of the DMACC Phlebotomy Specialist Certification Program. Students will, of course, also learn the basics of phlebotomy, such as drawing blood through at least four methods, processing and transporting bloodwork, and preparing samples for analysis. Phlebotomists-to-be will also hone in on the importance of keeping well-organized patient health records, as well as learning medical terminology and basic medical procedures. Upon completion of this thirteen-week program, hopeful phlebotomists-to-be are eligible to take the national certification exam, giving them the legal right to work in reputable medical facilities. EICC has handcrafted as twelve-week program with the aim of preparing medical students for their career in phlebotomy. Students who wish to pursue phlebotomy can use this course as a doorway into an entry-level medical position. Those wishing to return to school to further their education will be capable of using phlebotomy as a secured career in the medical profession, and they can build upon this career, becoming medical assistants, full-fledged lab technicians, or even nurses, over time. During this course, students will learn how to draw blood, process bloodwork, and preserve samples for diagnostic testing. There are numerous methods to collecting specimens, and students will be expected to demonstrate a keen understanding and working knowledge of these methods before they can successfully pass this phlebotomy training program. This phlebotomy training course is limited to 10 students at a time, which betters the chances of phlebotomists-to-be passing their upcoming national phlebotomy certification exams. Those investing in the medical profession for their future should consider a career in phlebotomy – a stepping stone into the medical field that is always in high demand. Good phlebotomists are well-versed in basic anatomy and physiology, as well as medical terminology and basic procedures, well-kept documentation and organization of patient health records, and interpersonal patient communication. All of these attributes are taught throughout the phlebotomy training program at Iowa Valley Community College. The phlebotomy curriculum has been handcrafted to prepare students for the national phlebotomy certification exam. Passing this course and the follow-up exam will enable new phlebotomists to work in the medical facilities of their choice, including blood banks, nursing homes, and outpatient care centers, and hospitals. The Phlebotomy Technician Training Program at Indian Hills Community College is divided into two terms, giving busier students an accommodating schedule to learn at their leisure. For enrollment, prospective students must demonstrate organization skills by filling out an application for acceptance, submitting a high school transcript (or GED equivalent), and acing a college entrance exam. Prospective students are also required to pass a background check before enrolling in the phlebotomy clinical portion of this training program. For the first term, IHCC students will learn the basics of phlebotomy, such as anatomy and physiology, medical terminology, employment preparation measures, and the principles and ethics of phlebotomy. The second term is reserved for hands-on clinical practice. Under the guidance of professional medical assistants and phlebotomists, students will learn how to draw blood, process and transport specimens, and interact with patients of varying mental states, moods, and ages. Upon course completion, graduates of this phlebotomy training program are encouraged to take the national phlebotomy certification exam to begin their careers as capable, well-trained phlebotomists. With the growth of healthcare industries and medical facilities, phlebotomists are in high demand. The St. Lukes College Phlebotomy Certificate Program is designed to prepare students for entry-level positions in phlebotomy. These positions can be lifelong careers, but many new phlebotomists continue furthering their medical educations, becoming medical assistants, phlebotomy program educators, or nurses. The SLC phlebotomy training program is comprised of two parts, equaling 112 hours of combined lab studies, classroom lectures, and hands-on clinical application. To graduate from this program, students must complete 100 successful venipunctures and 15 successful dermal punctures, all unassisted but under the guidance of a long-time, well-versed, professional phlebotomist. Aside from drawing blood and collecting patient health histories, phlebotomists-to-be are in charge of data entry, interpersonal patient communication, and bloodwork processing. 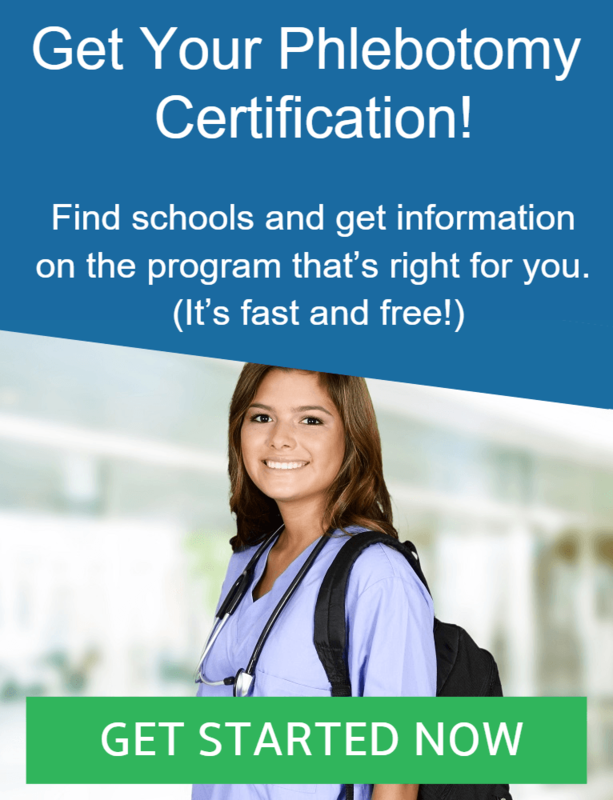 This program has been handcrafted to meet the requirements of the American Society of Pathology, as well as the national phlebotomy certification exam. In preparation for upcoming national phlebotomy certification exams, students are encouraged to take the continuing education phlebotomy courses from Hawkeye Community College. There are multiple sessions to choose from – each accommodating to students with busier schedules. Phlebotomists-to-be will learns the basics of phlebotomy, such as medical terminology and simple procedures, drawing blood, processing and transporting bloodwork, and bridging the communication gaps between patients and doctors. After program completion, graduates are encouraged to take, and pass, the national phlebotomy certification exam. New phlebotomists are capable of choosing the reputable medical facilities that they would like to work with, including outpatient care centers, nursing homes, and hospital emergency rooms.